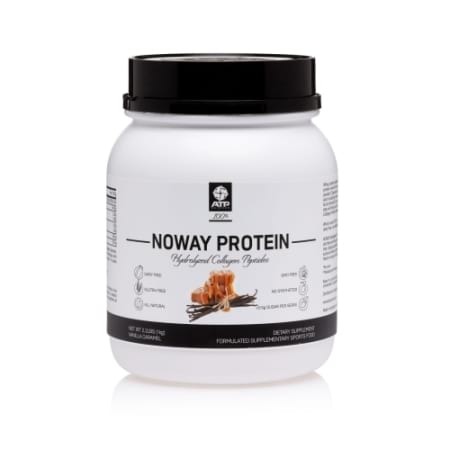 ATP Science introduces their brand new protein, Noway Protein. A top of the market BodyBalance protein with Hydrolyzed Collagen Peptides. Every batch is tested to confirm the presence and activity of the specific peptides to ensure efficacy and consistency. Mix 1 heaped scoop of NOWAY in 250ml of cold water in a shaker or blender. Can be added to your favourite smoothie or in baked goods.